Long before the Spanish arrived with their assorted haunted tales and legends, the native peoples of Central America embraced the unexplained in a way uncommon to European man. Stories that might frighten you and I seemed to fascinate the ancient civilizations of Meso-America. The Olmecs, Maya, Zapotec, Mixtec, Toltec, Aztec – and other native peoples – gravitated to the surreal and mysterious, often incorporating spiritual meaning into their forms of religion, art and science. In addition, and as you might imagine, the Spanish and French brought with them many folk tales and superstitions to the New World and the shores of Mexico, greatly enriching the local mysteries of the native people, making the Mexico of today a complex combination of old and new, an abundant collection of strange stories, odd tales, unique folklore and colorful superstition. If you’re looking for a good Central American mystery to wrap your mind around for the season look no further than the tale of the Mitchell-Hodges crystal skull, a mystifying artifact actually uncovered in Belize. But similar skulls have been discovered at ruin sites across Mexico, though not nearly as artfully crafted or with such perfect precision craftsmanship. 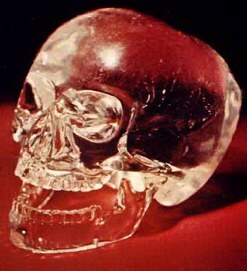 But the lore surrounding the crystal skulls is one worth studying. Especially if you start with the famous Mitchell-Hodges skull. 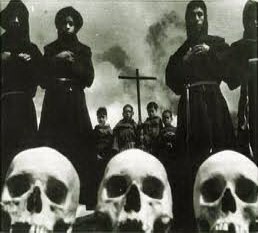 According to a widely circulated myth about the skulls, the Mayan end date will arrive and the new age of man will be born near the winter solstice in the year 2012. But only after 13 mystic crystal skulls are “discovered” and used to help understand the process required for mankind to transcend the current age of man to the new age of man. Similar end of age legends and stories exist among many of the indigenous people of the Americas, including the Hopi and the Cherokee. As you might imagine, Mexico is full of folklore and tales of magic and witches. A visit to any large local market square will offer a glimpse into just how much the local people believe in charms and hexes and related folklore designed to bring solutions to human problems, like healing and good luck in business and romance, or for dark magic designed to bring bad luck to your enemies. 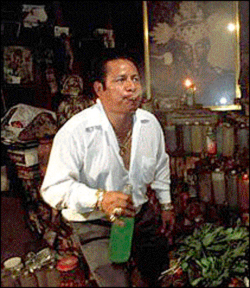 For a few dollars you can easily buy the services of a shaman or curandero – or witch – who will work their magic on your behalf. On a trip to Mexico City once I decided to wander freely among the neighborhoods and stumbled upon a large local market. There I watched in amazement a snake charmer and an old woman who was selling her magical services, The woman chanted in ancient tongue and played with the snake as a crowd gathered around to watch and pay their respect, many digging into their pockets to leave a coin behind – perhaps a tribute of sorts in hopes the old woman would not hex their day at the market. In Mexico’s World Capital City of Witches, Catemaco, just south of Veracruz, wizards and witches bark on the streets regularly. The community is home to the High Council of Wizard (Witches) who actually form a sort of cooperative as they offer their services to any and all with faith and money. Even the rich and politically ambitious have been known to frequent the town in search of paranormal help in solving problems or realizing aspirations and ambitions. See full article here. Each March, a special Night of the Witches celebration is held and travelers from across Mexico and the world find themselves in a carnival atmosphere as they walk the crowded streets of this very strange town, which sits serenely on the shores of amazing and mystical Lake Catemaco. It is a world of dense jungle, beautiful waterfalls, and witches on every corner. In addition, there are many tales and legends of spirits and ghosts in Mexico. For instance, the tale of the famous Mexican ghost, a tale told throughout Mexico and the American southwest. It has been around since at least 1550 and some say was brought to the new world by the Spanish. The story is of a woman who kills her children, then herself – usually in despair or to get back at a lover. She is seen wandering around villages or hillsides or river banks, usually wringing her hands and weeping. She is thought to be a bad omen when spotted. Then there is the true tale about the so-called “House of Mummies” in Guanajuato. The greedy operators who operate the adjoining cemetery and catacombs of the dead beneath the city charge families of the dead rent to keep their loved ones buried. If there’s no one who can or will pay the fee, they dig the body up and prop him or her in the adjoining “museum” where they then charge tourists to come in and look. The dry climate and properties of the soil mummify the corpses, and thus – instant museum show! Not surprisingly, there are ghost stories, including the cries of babies, an apparition of a “tall” lady, and strange whispering sounds. In Monterrey there is a house with a reputation for being haunted that is now open for tours. Since 1933, the ghost of a woman in white and her little girl have kept the neighbors fascinated, and the home un-lived in. Still in its crumbling, depression-era decor, the house was the site of a grisly murder of the two. The woman’s pet parrot’s perch is still in the tree outside. As the story goes, the talking parrot was able to repeat the names of the murder to local police. 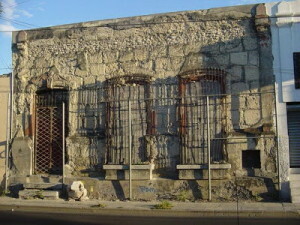 (1026 Jose Aramberri street). 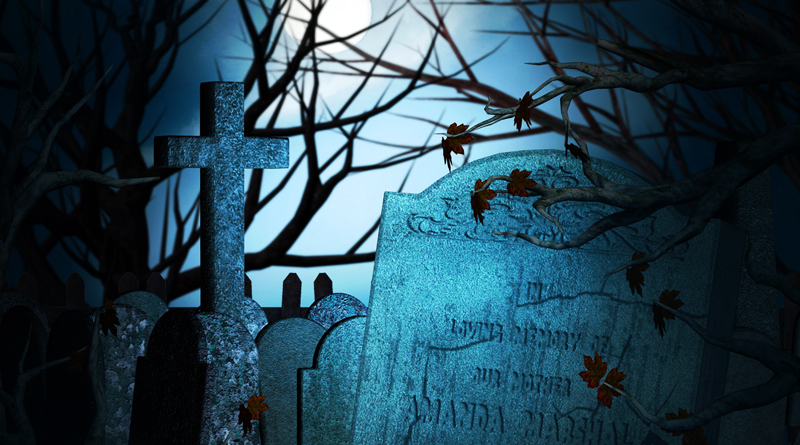 These are but a few of the colorful stories of hauntings in the mysteries land of Mexico. In truth, there is a tale in every town and village, a folklore in every house. Take the time to explore the myths and legends of Mexico, and October proves to be the premiere month if you’re looking for other worldly adventures South of the Border. Happy travels. Logan Hawkes is an award-winning writer, researcher, publisher, broadcaster and adventurer., and managing editor-partner of Lost Planet Media, an online and print magazine publishing company. He has served as a guest and contributor to the History Channel, hosted the syndicated radio talk show, “Travel Quest”, and is the author of various history-based books, stories and docudramas that provide insight into history’s greatest mysteries. Read more at mexicolesstraveled.com or loganhawkes.com.